Product marketing is a tough job. You need to distill everything your company does into a clear value proposition, and the messaging you create is foundational to your sales, engineering, customer, support, and marketing operations. Content marketing can stretch your product-marketing message further. One of the best ways to articulate the value of your company is to share stories about the space your brand influences. Here are three content ideas to guide you. When audiences discover your brand they’re often looking to tackle a very specific problem, or are in a situation that makes them feel isolated or frustrated. One way to engage your prospects is to show them that they aren’t alone. That’s where customer stories come in. Customer stories are different from case studies in the sense that they don’t showcase your product—they showcase your customers. Rather than talking about a feature your company has developed, you should discuss the ways that your customers have solved their biggest business challenges. A strong brand example to follow is Optimizely. The company publishes customer stories around its A/B testing platform, focusing on creative ways that companies have been able to improve web conversions. There’s an opportunity for readers to learn something new from every published story. These are pieces that anyone in the conversion-optimization space will want to read. The best way to evangelize your product is to teach people how to use it. Your target customers are going to have a learning curve, especially if you’ve built a new piece of software or platform. The thought of trying—and learning—something new can feel daunting for time-strapped audiences. One way to overcome this challenge is to create educational content around your brand. Get prospects excited by helping them learn a new skill or technique. A great example to check out is Canva’s “Design School” blog. Each published post is a tutorial for how to do something cool with design. Learn how to combine fonts, avoid typography mistakes, and choose inspiring visuals for ads. This content does more than provide inspiration; it teaches people how to be successful with Canva’s product. Show the world that people love your brand: word of mouth is a powerful marketing force in which your product’s value speaks for itself. 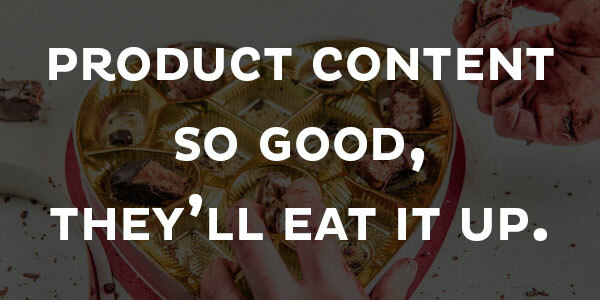 One way to show that you’re a “loved” company is through user-generated content. User-generated content can take the form of photos, videos, and community reviews. No matter your medium, the most important thing to consider is that this type of enthusiasm can’t be faked. Customers decide to participate because they love your company. For inspiration, take a look at ModCloth, a popular online boutique for women’s clothing. The company has launched a platform where website visitors can upload their own outfit photos—often featuring ModCloth clothing. The photos are engaging and fun. Most importantly, the content speaks to the strength of ModCloth’s product and community base. Content brings a human voice and sense of community to your product. That’s why product marketers need to be deeply involved with content production. With the right planning, content can be more than a social media tool—it can become a core part of your company and platform.